Cade Avery is running for a position on his local county council. Heâs extremely good at what he does and is a valuable asset to his community. The trouble is, he upsets people, says the wrong things, and rides rough-shod over other peopleâs plans and ideas. 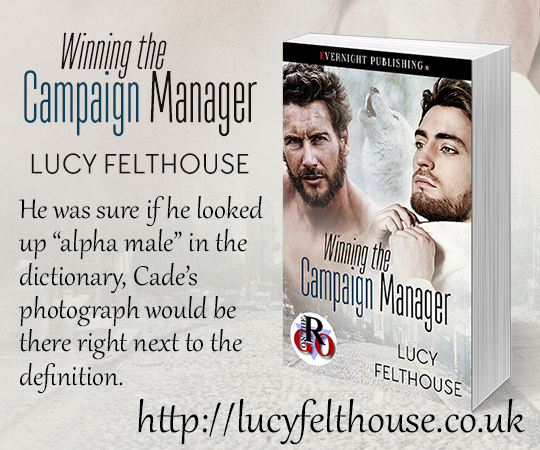 His assistant, Mary, eager to improve Cadeâs public image, hires him a campaign manager. Quentin Rayworth is thrilled to be working with such a formidable public figure. Itâll be a challenge, but heâs confident he can help Cade to win the election, and knows that the achievement will look impressive on his CV. Itâs soon clear that the two men are set to be an excellent team. 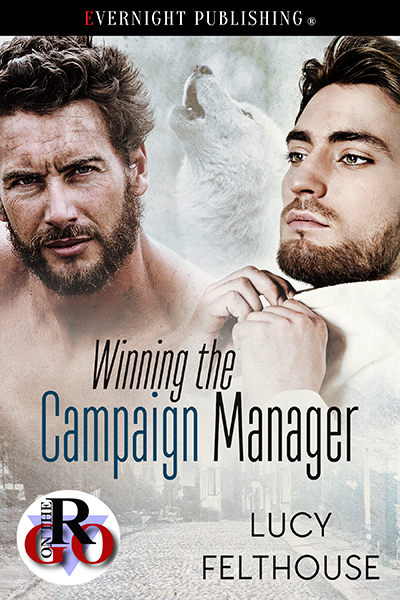 That is, until Cadeâs werewolf makes its intentions knownâin Quentin, it has found its mate, and it will not rest until he has claimed him. But can Cadeâand his wolfâwin over the campaign manager? She may have used the deep breath and probably a considerable amount of willpower to dampen down her physical reaction to his question, but her actual words gave her true state of mind away. As a rule, the word âbloodyâ was as bad as it got for Mary. To have enticed a âfuckingâ out of her, and within the same conversation, no less, meant she was in real danger of losing her temper with him. And despite her diminutive frame and usually chilled-out personalityâespecially in comparison with his huge frame and fiery personalityâwhen she did lose it, she was utterly terrifying. Possibly the fact that she rarely got angry was what made it so potent when she did. Maryâs ire could turn even the thickest-skinned person into a blubbering wreck.